The role of the CFO is changing. As we step further into the digital age, new technologies, customer demands and expectations are transforming how finance professionals need to envision and position themselves within the greater business eco-system. In preparation for the imminent future of finance, here are four stats that demonstrate the pressing reality of this evolution. 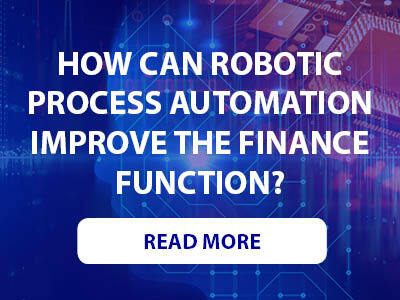 Robotic Process Automation (RPA) is becoming an increasingly popular solution for those seeking to improve operational efficiency and a majority of companies that do so begin with their finance function. From accounts receivable to budgeting, an RPA solution can process information faster and more efficiently than its human counterpart, providing a much greater return on investment than a salaried worker. 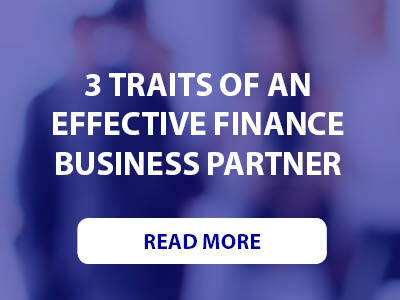 As many of the core responsibilities of the finance function are handed over to digital technology, the finance professional is provided with the opportunity to step out from behind the spreadsheet and offer a new kind of value to their business. The departure from the traditional finance function of accounting and retrospective reporting welcomes a move towards future focused predictive analysis, decision support and greater involvement in strategic planning. As a result of the role’s evolution, the finance professional needs to develop a much broader skill set. According to Grant Thornton, 75% of CFO’s plan to update their data analytical skill set in the coming year. But, this is not the only area that CFO’s should be focusing on. As the finance professional steps into a more cross-functional, people-facing role, the strengthening of ‘soft-skills’ such as communication and trust-building should also take centre stage. Despite the clear demand for skills in data analytics, technology and communication a lack of proficiency in these areas remains glaringly apparent. Between the 11th and 13th of February 2019 join leading CFOs and finance professionals at the Future of Finance and CFO Summit London, UK to learn more about how you can tackle the challenges that accompany the future of finance.